Be the first to share your favorite memory, photo or story of Betty. This memorial page is dedicated for family, friends and future generations to celebrate the life of their loved one. 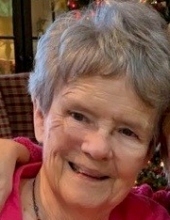 Betty Jean Greene, 88, of Fayetteville went home to be with the Lord on March 15, 2019. She was born in Denton, North Carolina on July 1, 1930 to the late Harvey and Esther Snider. Betty retired from the Fayette County Board of Education where she worked for twenty years. Betty was preceded in death by her husband, Jesse Lane Greene; brother, Lawrence Snider; and her parents. She is survived by her son, Tim Greene (Tricia); daughter, Cathy Kegley (John); grandchildren, Claire Kegley, John Kegley, III (Emma), Allie Kelly, and Molly Greene; brother, David Snider (Judy); three great-grandchildren; and numerous nieces and nephews. A funeral service will be held at 11:00 AM on Monday, March 18, 2019 at the Chapel of Mowell Funeral Home, Fayetteville. The family will receive friends on Sunday, March 17, 2019 from 3:00-5:00 PM at the funeral home. Burial will take place at Camp Memorial Park. To send flowers or a remembrance gift to the family of Betty Jean Greene, please visit our Tribute Store. "Email Address" would like to share the life celebration of Betty Jean Greene. Click on the "link" to go to share a favorite memory or leave a condolence message for the family.